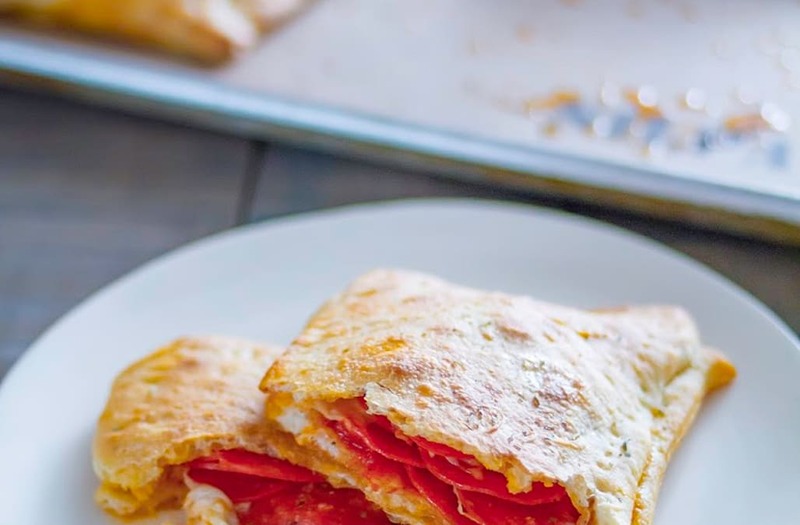 Put a cheesy twist on dinner tonight with these homemade pepperoni pizza pockets! Made with buttery dough, spicy marinara and creamy mozzarella, these adorable treats are bound to become a family favorite. Serve with an extra side of sauce and enjoy! Add sauce and pepperoni to 4 slices. Blanket with leftover dough pieces.